Our Farm- A La Carte is now closed for the season. We thank each and every one of you- Our Valued Customers! 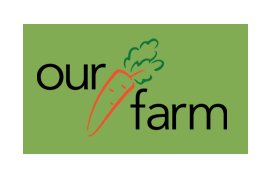 Your continued support of tasty, organic and local veggies was tremendous in the 2018 season! This store is now sold out! We will once again have beautiful veggies for you in July 2019! We look forward to seeing you all then! Have a great Fall, Winter and Spring 2019! To select your choice of Pick up or Delivery, scroll to the bottom of the "For Sale" page. Options are listed at the bottom. Add your choice to your cart. Then, we will know how to process your order. Thanks. Also: If you would like more information about a particular item on the list, click on "More info". All content property of Our Farm.